Developed and produced by PARTTEAM & OEMKIOSKS, this is a custom project about to go out to a major client a 46 '' NOMYU outdoor with the integration of an additional column for printer placement and a payment system. NOMYU can be produced in lacquered or stainless steel, painted with any RAL color and is adaptable to any situation. Exceptional tactile feedback, resistant to scratches and stains, high durability. The NOMYU with ultra-smooth glass presents the best steady touch experience.
" Our engineers and technical research succeeded in reducing the layer of air in construction, approaching the glass to the display. This kind of unique construction provides less reflection and a clear view, even with intense sun exposure. " NOMYU is more effective and the experience much more intuitive. 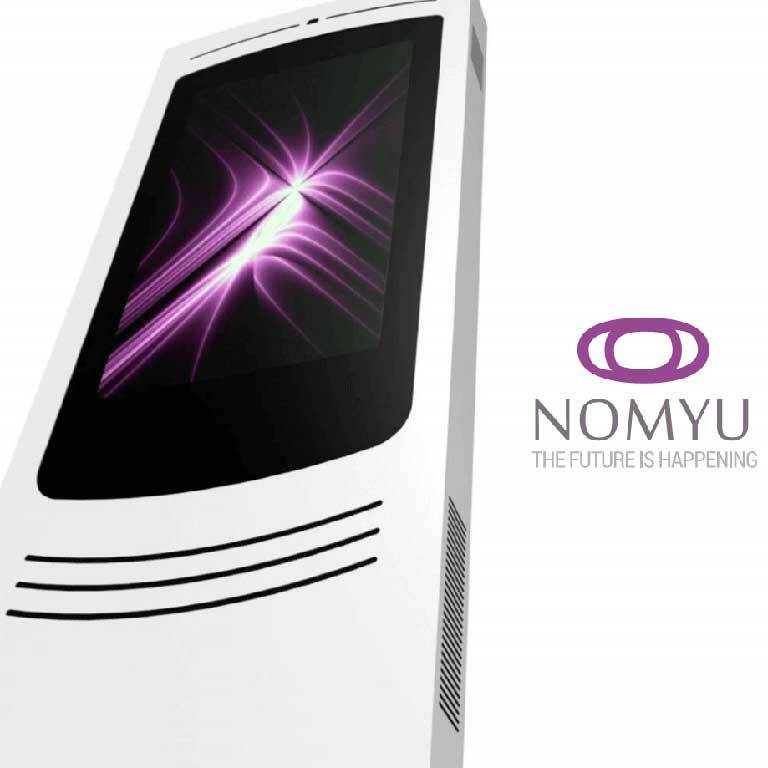 Regarded as the WORLD'S MOST INNOVATIVE MULTIMEDIA KIOSK .2017 , NOMYU, it is unbelievably modern, powerful and professional! Where others fail, PARTTEAM & OEMKIOSKS group can exceed its own goals and expectations !